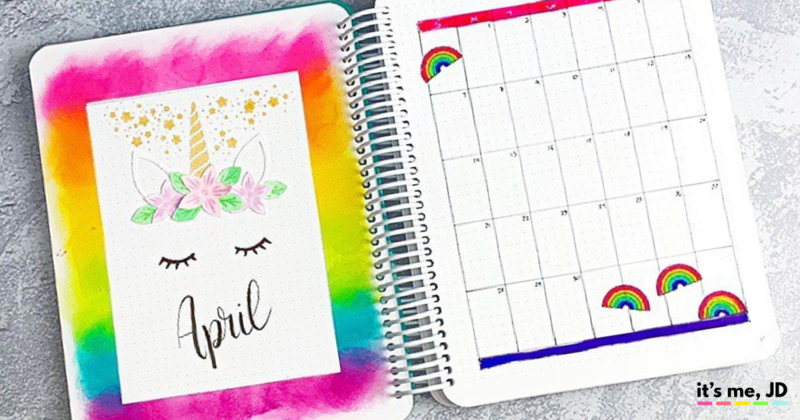 For my April bullet journal spread, I wanted to use unicorns and rainbows for your theme. 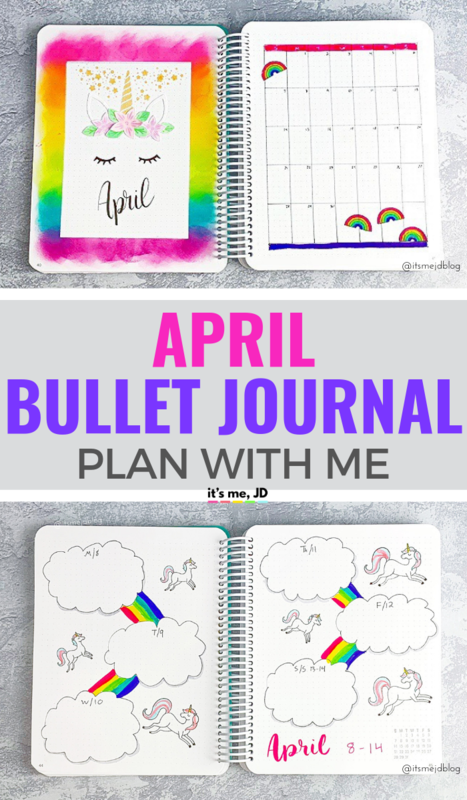 Plan with me as I create my bujo set up and layout for the 4th month of the year. 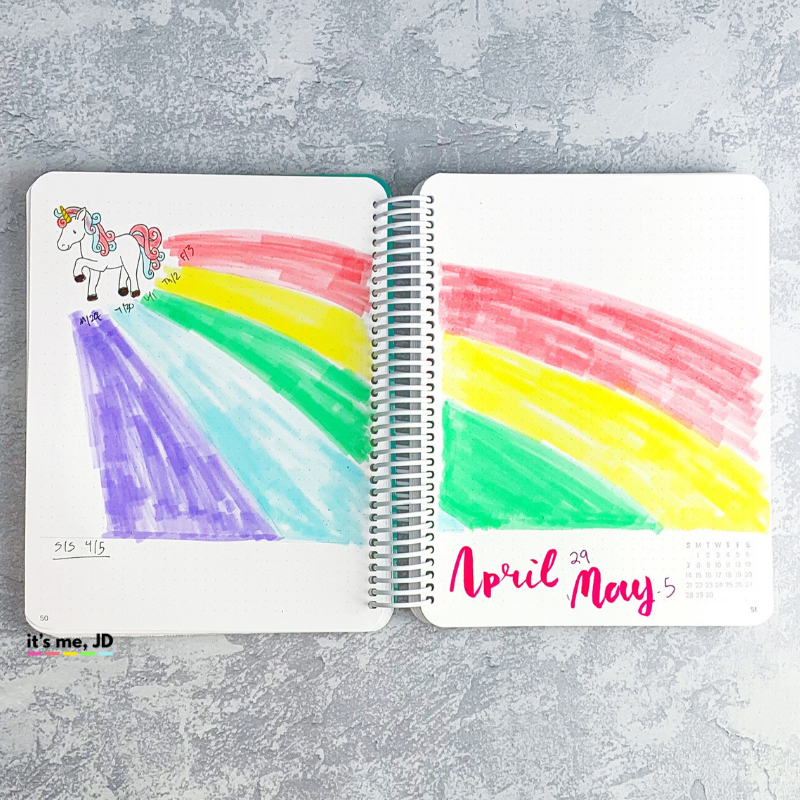 April showers bring May flowers, but first, they bring rainbows! 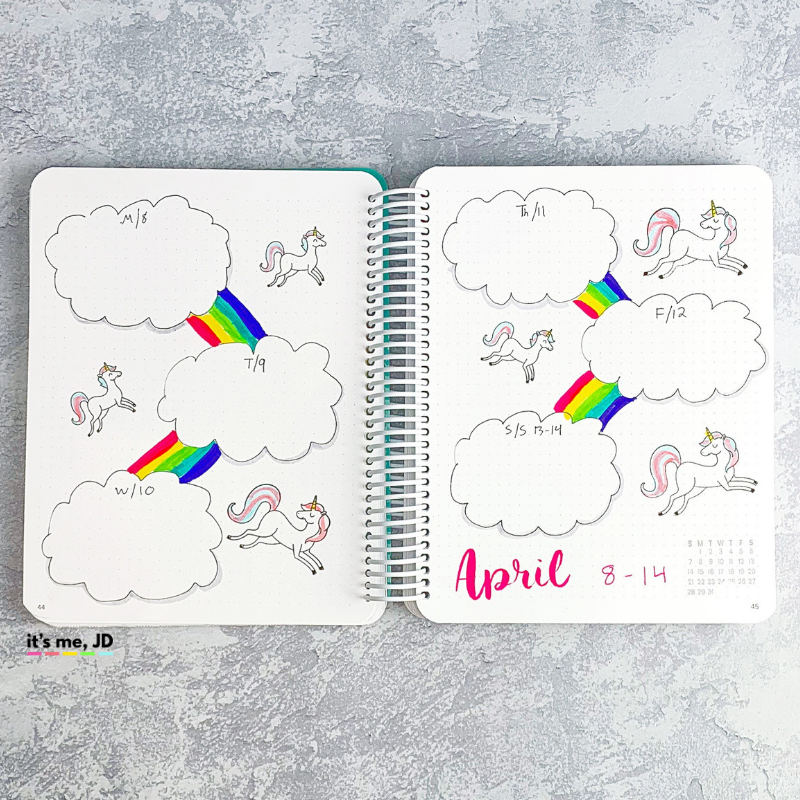 Why stop at rainbows when I can add unicorns? 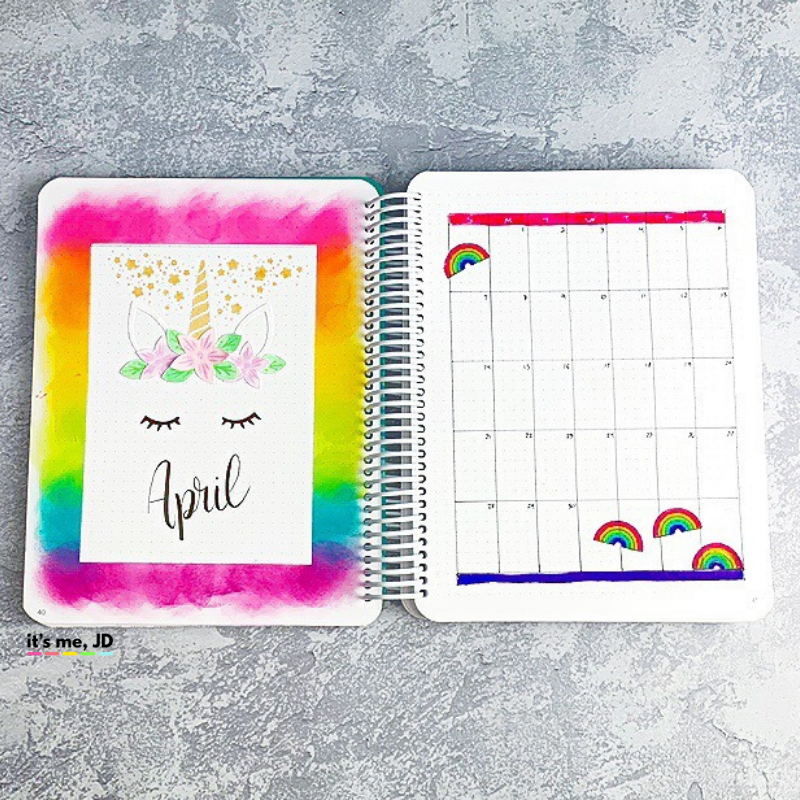 After getting a lot of rain where we live, I wanted some happiness for my next spread, and I thought unicorns and rainbows would fit the bill. You can either hand draw these images but I like to stamp so I went with the latter. 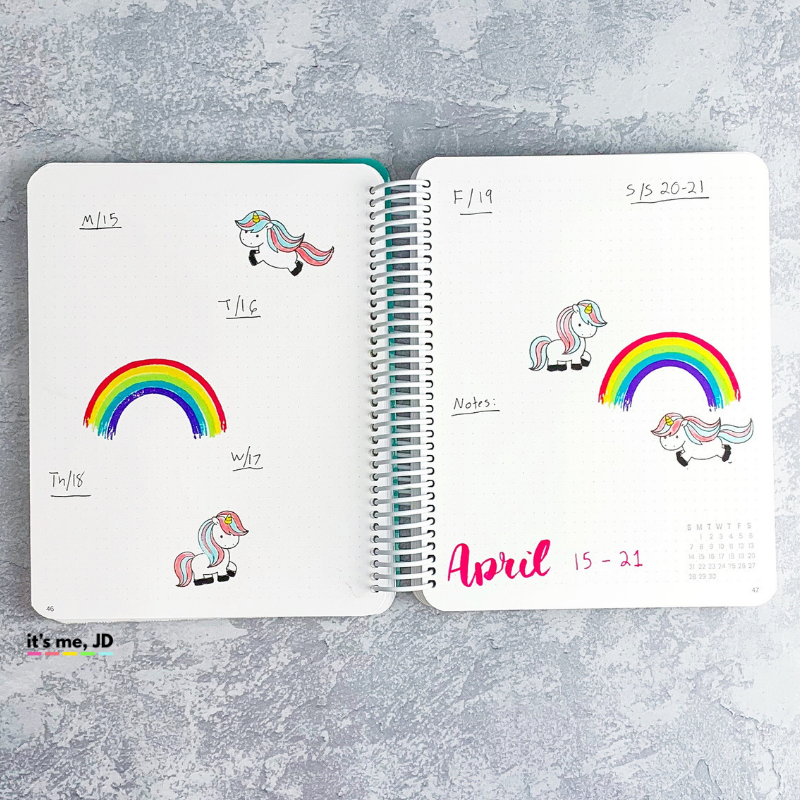 Rainbow were easy to draw, unicorns I definitely had to stamp. 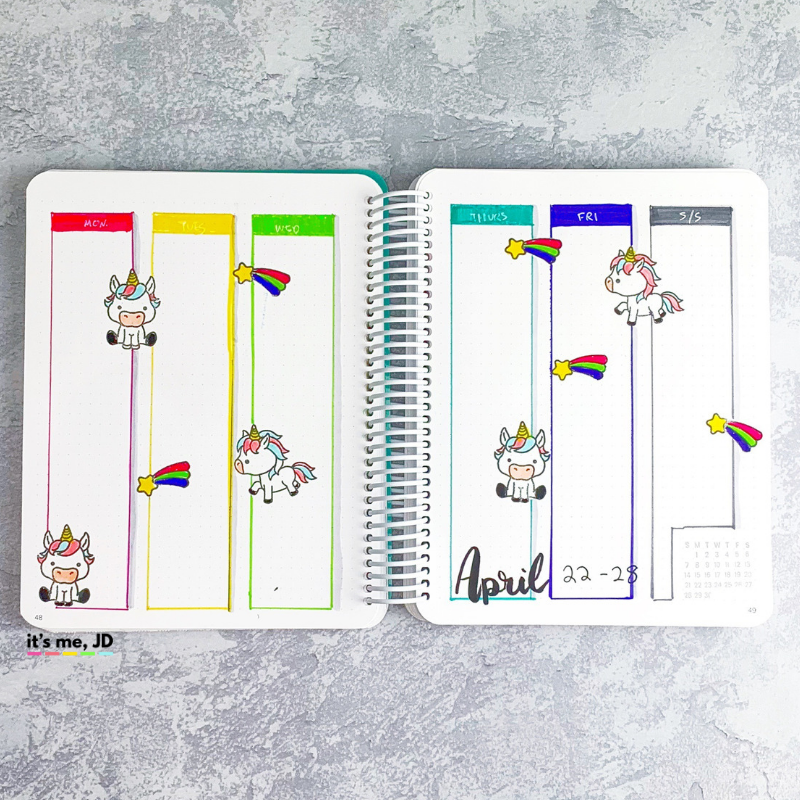 I used a variety of rainbow colors and different techniques for my layouts. 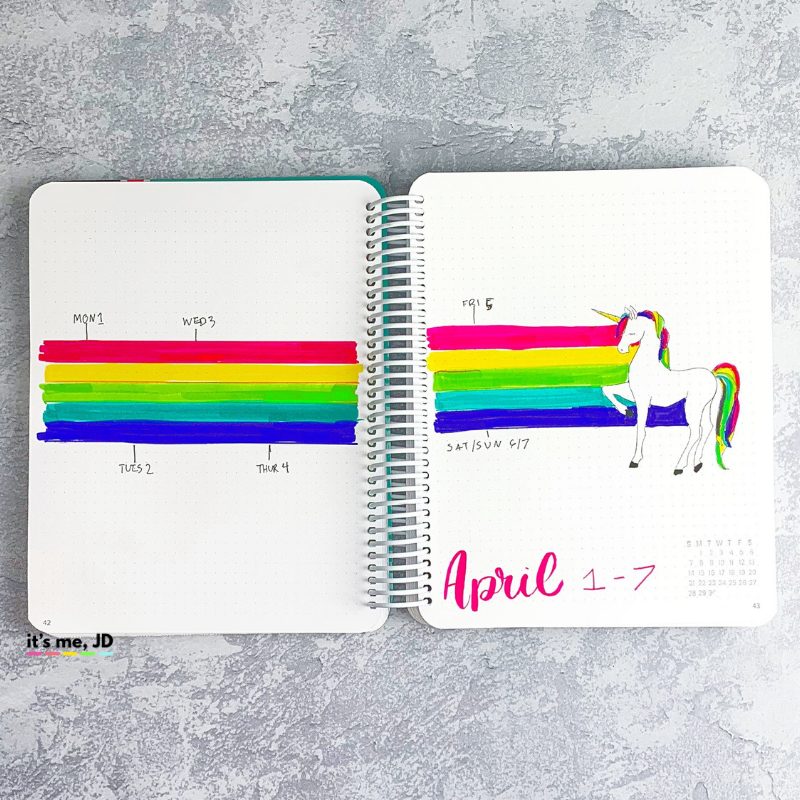 I did a variety of techniques for the different weekly layouts from minimalistic to masking to coloring. See the process below or over on YouTube.